Last year I posted on and on about different snowdrops – just search for galanthus to the right and the past posts will appear. 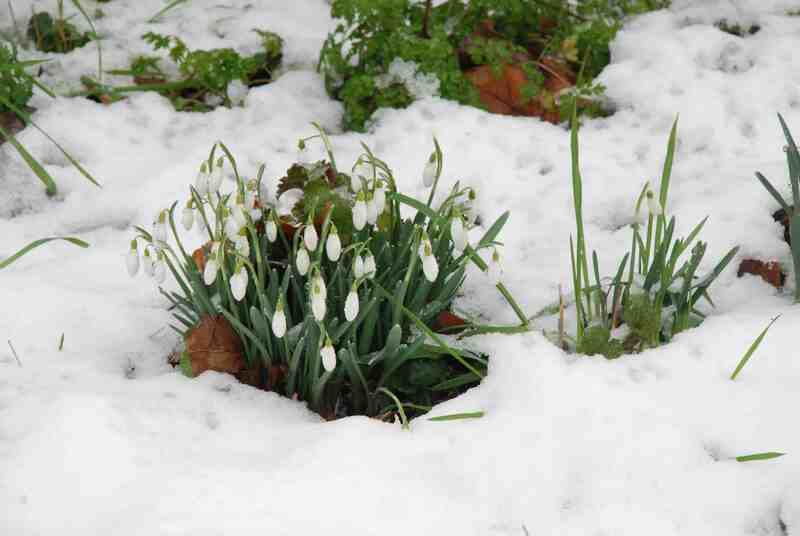 So this year, a very brief mention and photos of just the ‘ordinary’ Galanthus nivalis, pushing their way through the snow. Simple but effective and lovely. I try to keep politics out of this blog but with this being a momentous day with the inauguration of Donald Trump as President of the most powerful country in the world I have to vent my spleen just a tiny bit. What has happened to David Cameron! He is the one that almost split up the UK with the Scottish referendum on Independence and then (largely through his poor handling of the EU debate and the general dissatisfaction for his leadership – it made me feel sick to be voting the same way as him) took us out of Europe. But unlike most people – I was always taught that you have to take responsibility for your actions – he walked away from the whole unholy mess. I wonder what the Queen made of all this – the prospect that because of his incompetence the UK would be split up (and probably will be now) – in harsher times she would have had him beheaded! Apparently he is busy writing his biography and has been offered an advance of up to £800,000 and is being considered for a high position in NATO. How can he get away with just walking away? Is there no accountability? The result is a PM that we didn’t elect (so much for democracy), doing a job she didn’t want to do (take us out of the EU). I am no fan of May but I feel sorry for her. Why is it that every time she changes her trousers the pound drops like a stone but Donald Trump can do what he likes and the dollar soars? All because of fat cat bankers playing with huge sums of money and our lives. We are in a real mess,so much seems upside down.Forget watching the Inauguration-I’ll stick to my catalogs.The woman’s march in Washington tomorrow will be impressive. 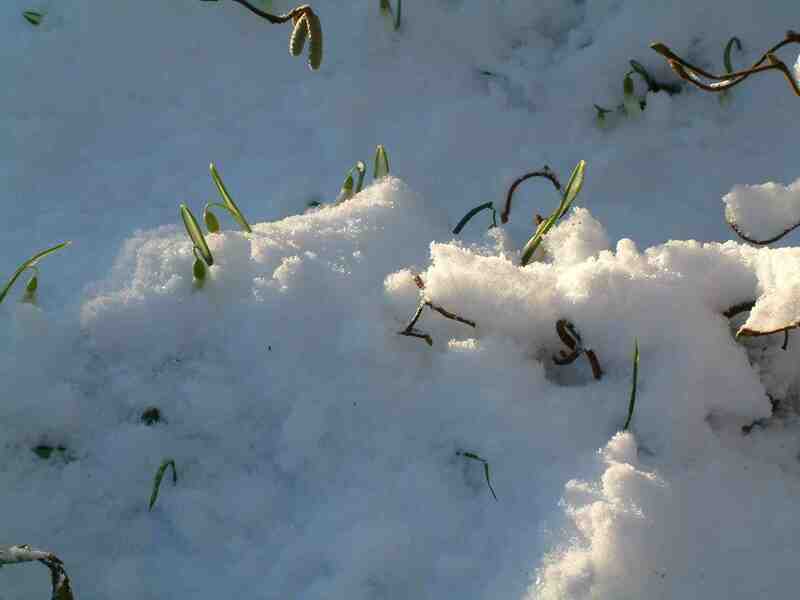 I only have the elwesii snowdrops,they are just breaking ground.Your pictures are lovely! I watched, listened and found it extremely sad and painful. Snowdrops on the other hand …….